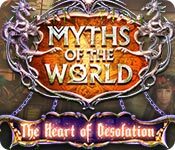 Myths of the World: The Heart of Desolation is rated 3.9 out of 5 by 23. 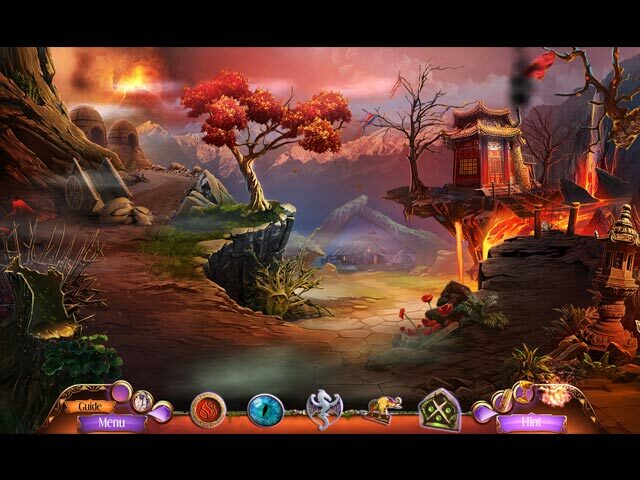 Rated 5 out of 5 by ninja226 from Terrific Dragon story Pleasantly surprised by this game. The story is original, easy to follow, and not unbelievable. Voiceovers are particularly excellent and appropriate to character's age, gender and appearance. There are a lot of puzzles, many requiring patience to complete, but conceptually have been encountered before and thus familiar but different. Some puzzles are also super easy, but puzzles are more frequent than HOPs, which are varied and have a few items are really well hidden. Expert mode allows hint & skip & some helpful messages, but will be challenging sometimes. The artwork is fantastic. This takes place in Burma, and the male and female characters are beautifully drawn. 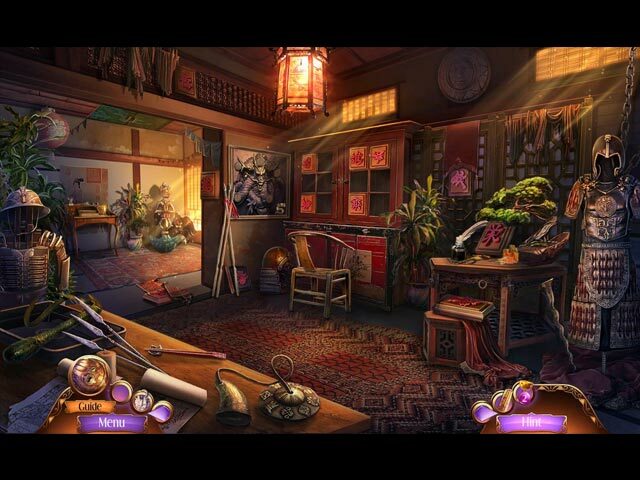 Interior scenes are well done and capture the flavor and ambience of Chinese culture. The static scenes are high def and a pleasure to look at. However, the cut scenes are a bit blurry and not high def like I would wish, but 90% of game experience is terrific. This is quite a long game with many locations visited. There is a lot to see and do. All the elements come together for a fantastic game experience. Rated 5 out of 5 by dollyflower from Beautiful Game I just recently purchases and am playing the game. I so enjoy playing a game with a different setting from usual (oriental). I love old spooky houses and themes, but this is a welcome change. The artwork is beautiful! Rated 5 out of 5 by SparkleGlow100 from Stunning, Beautiful and Relaxing (A 2015 game) The Terracota Army are on the move. Watch out for the dragons too! Relaxing scenes with water and trees and rocks...Infact there is LOTS of water: waterfalls, pools, and ponds. Also mountains! Scenes have an open and beautiful feel to them. Since we're in rural China, there's tons of Chinese craftmanship all over the place, buildings, dwellings, gardens and ornaments. Playing this in the middle of winter, suddenly I have sun and flowers, and birds singing again. Ahhhh...! Later there's some lava and volcanic activity too. 12-15 HOPS, all lovely to look at, and a mix of puzzles. Great sounds & great graphics (music has a separate control). Rated 5 out of 5 by Mari2006 from Lovely Game This game has everything - it flows nicely, good hint help and lovely artistic scenes. I wish I had bought the Collectors Edition but I usually don't because I rarely play the bonus game. Kudos to the developers for this one. Rated 5 out of 5 by Robcol from Absolutely Brilliant Good puzzles. Amazing graphics. Buy this game it is great! Rated 5 out of 5 by gram_orboys from A beautiful breath of fresh air If you like HOs but are tired of them being all the same, this game will give you a thrill! The scenery is so nice to look at. The story is interesting. And the bad man gets what he deserves! Others have commented on the play of the game-which helped me decide to buy. I also buy using the personal thoughts given, many times that has tipped the scale. For me this was relaxing and enjoyable and will be played many times. 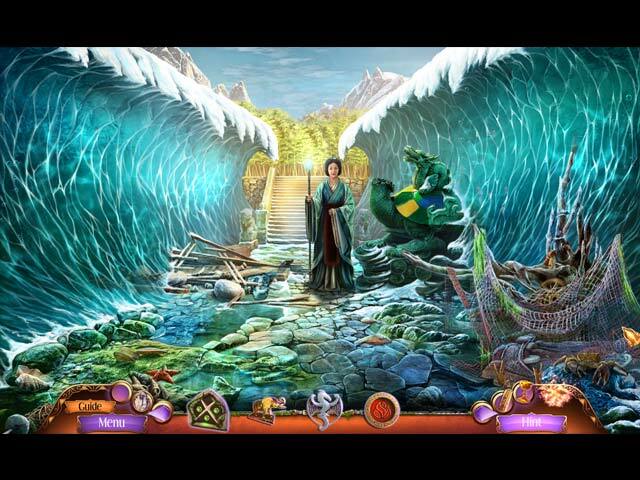 Rated 5 out of 5 by sunflower2u from Wonderful game I really enjoyed this game. At first I wasn't sure if I liked it, but after playing for a little while I really got into it. Beautiful graphics and story line was fun and different. Rated 5 out of 5 by LYRANSTARGATE12 from Wow! I rarely write reviews, but I had to write one for this one. I won't go into great detail, as I don't have time to do so. However, I LOVED this game! Very well done developers. Held my interest straight through. Just the right amount of HOG's, puzzles and dialogue. Beautiful, interesting, clever graphics and storyline; and some unique twists on the games. If I were the developer, I would have created more lighting in some of the hidden object games (too dark in some of them). Loved that the hint recharged immediately and one can easily skip a game, if not interested. Over all, so well done. I highly recommend this game! Rated 5 out of 5 by hevensday from Beautiful I can't believe this game got the low score. I wasn't going to write this review but had to after seeing the lousy score someone must have given it. This game was given the utmost consideration of artistic care and skill. I was astounded by the visuals of this game, absolutely lovely in all aspects. It was a long game with plenty of mystery to keep you interested in what will happen next. You will not be sorry in giving this game a try. It is certainly a game I will play again in the future.